A small butterfly-shaped gland located at the front our neck, the thyroid regulates the metabolism of every organ and cell in our body. That's why there's such a long and varied list of symptoms that can indicate a thyroid problem. 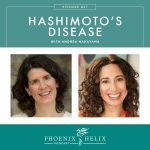 Hashimoto's and Graves disease are autoimmune diseases which attack the thyroid, but thyroid issues are on the rise from other causes as well. 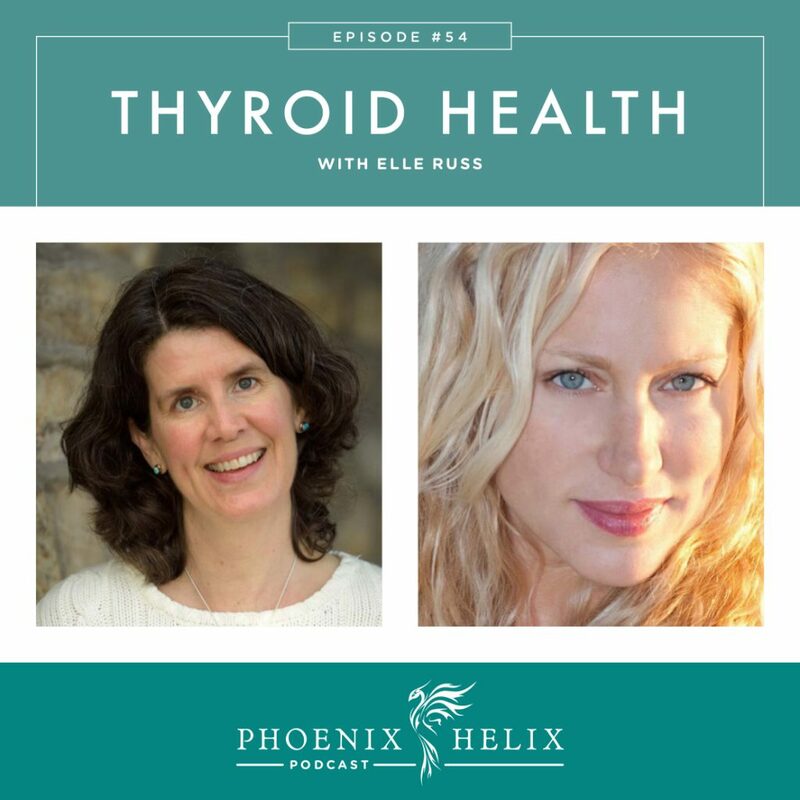 In today's show, I speak with expert Elle Russ, author of The Paleo Thyroid Solution. 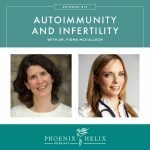 We discuss why thyroid problems are becoming commonplace, how to test your thyroid function, what avenues are available for treatment, and the importance of self-advocacy. 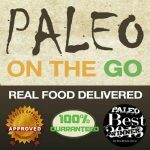 Elle is the author of The Paleo Thyroid Solution. In addition to being a writer, she's an actor, comedian, health/life coach, and the host of the Primal Blueprint Podcast. Over the course of 10 years, she was hit twice with severe hypothyroidism. She consulted with 2 dozen endocrinologists, internal medicine specialists, and general practice MDs. They all told her that her thyroid test results were normal, and there was nothing wrong with her. It turns out they weren't giving her the right tests. At her worst, she suffered from gynecological problems, severe brain fog, depression, weight gain, skin thickening, chronic constipation, personality changes, and extreme fatigue. Now, her symptoms have resolved through a combination of diet, thyroid supplementation, and mind-body work. In the course of writing her book, she finally found a doctor who understands hypothyroidism: Dr. Gary Foresman. A small butterfly-shaped gland at the front of our neck, it's a master gland that affects organ and cell function bodywide. If the thyroid is having trouble, the whole body suffers. Often thyroid problems can lead to other diagnoses when the thyroid is the true root cause – such as PCOS, high blood pressure, high cholesterol, and mental health issues. Hypothyroidism often leads to insulin resistance, which makes weight loss difficult. If you restrict calories and overexercise when you are severely hypothyroid, you make the hypothyroidism worse, which often leads to further weight gain. When you first start to heal, you actually need more rest and nourishment, which is counter-intuitive. Elle offers a multi-phase approach to weight loss in her book, focusing on restoring thyroid and overall body health first, and focusing on weight loss second. But she does address the issue of weight loss and successfully lost the weight she herself gained. So often we judge (and are judged by) others and ourselves. Replacing that with empathy and compassion is a big step toward healing. Our bodies are trying to save our lives in every instance, even when things go wrong. The first time Elle got sick, she was filled with anger and self-blame. The second time she focused on self-love and gratitude. Even when she was suffering physically, mind-body techniques brought her hope. They also helped her recover faster. Elle is a big fan of Louise Hay's affirmations and recommends her movie, You Can Heal Your Life. Standard American Diet – Type 2 diabetes and hypothyroidism often go hand in hand, and our modern diet is causing a dramatic increase in both. Stress and lack of sleep affect thyroid function. Our soil is depleted of selenium, which in turn depletes selenium from our food, and selenium is essential to the conversion of thyroid hormones. Elle recommends supplementing with 200 mcg daily. Smoking can interfere with the communication between the brain and thyroid. Environmental toxins have an impact as well. Over-dieting and over-exercising can also cause hypothyroidism. Conventional doctors only test TSH, which doesn't fully assess thyroid function. If your doctor won't order a complete thyroid panel, you can order them online through Private MD Labs or Direct Labs. Here's a list of Paleo Functional Medicine Practitioner Directories. The Natural Thyroid Hormone Users Yahoo Group is a peer-to-peer support group that maintains a list of patient-recommended doctors. The group was founded by one of Elle's favorite websites: Stop the Thyroid Madness. Elle interviewed her personal physician, Dr. Gary Foresman for her book. Synthroid is the most commonly prescribed medication. It's T4 only, and T4 needs to be converted before it can be used by the body. For this reason, some people have problems with this medication. T4/T3 combined medications are ideal for most people. You can get this in a natural form (derived from pork) or synthetic form from a compounding pharmacy. There many different brands of natural desiccated thyroid (NDT). Westhroid (now called WP Thyroid) has the least amount of fillers and additives; it only has 3 ingredients. T3 only. This is a rare medication for very specific thyroid issues. Dosing: Finding your optimal thyroid medication level takes time. Usually you start at the lowest entry dose – try that for 3 weeks – get retested, and then your dose gets adjusted as needed. This may need to happen many times before you reach your personal optimal levels. An average time for this process is 6 months, so be patient. Keeping a symptom journal during this time really helps. Some people will need to try more than one brand of medication before finding the one that works best for them. Elle has detailed dosing information in her book. 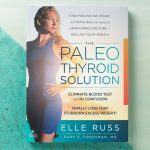 Elle's book is called The Paleo Thyroid Solution. She offers thyroid health coaching through her website: ElleRuss.com. She's also the host of the Primal Blueprint Podcast.